I’ve been doing a lot of work in the garden community here. Did you know that Mendocino County is the only place in the whole country that has a garden at each public school? We’ve been brainstorming about how to fund these gardens, and after I shared one of these articles with my friend Sarah of Eat Mendocino, she was moved to dedicate the next farm-to-table dinner to supporting garden-enhanced nutrition education (GENE). If you’re free next Saturday and in the Ukiah area, please join us! If you don’t have $50 but still want to participate, we need volunteers. 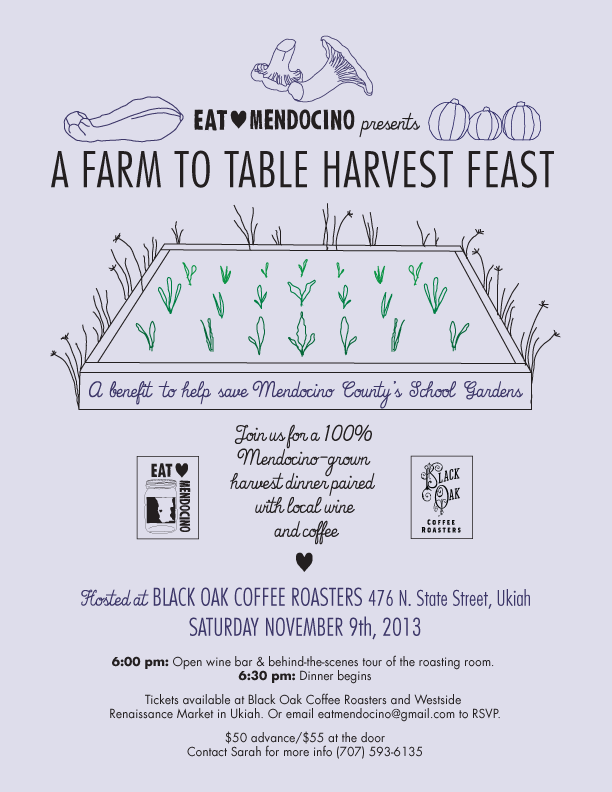 Contact Sarah directly to get involved: eatmendocino[at]gmail.com.